Introducing the Chameleon Cherry Violet vein color! It changes from a sort of fuchsia violet to a coppery green to black! 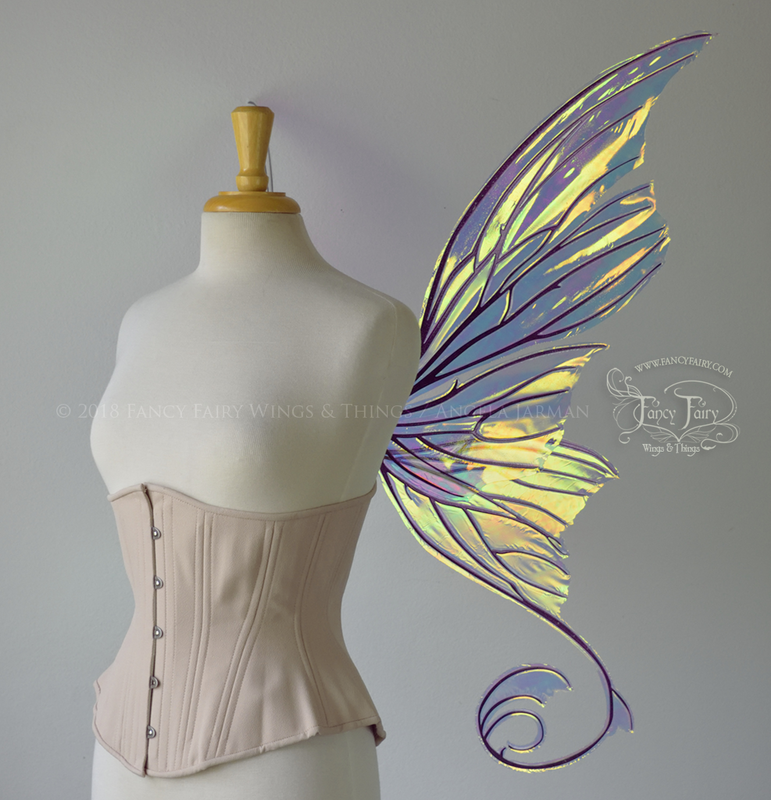 If you have glitter running through your veins, your wings can now too :) The new chameleon Cherry Violet color is predominantly a sort of sparkly fuchsia violet that changes to a coppery gold and green at more extreme angles. The effect is more subtle next to the brightness of the iridescent film, and the effect can depend on the type of lighting they are in as well. 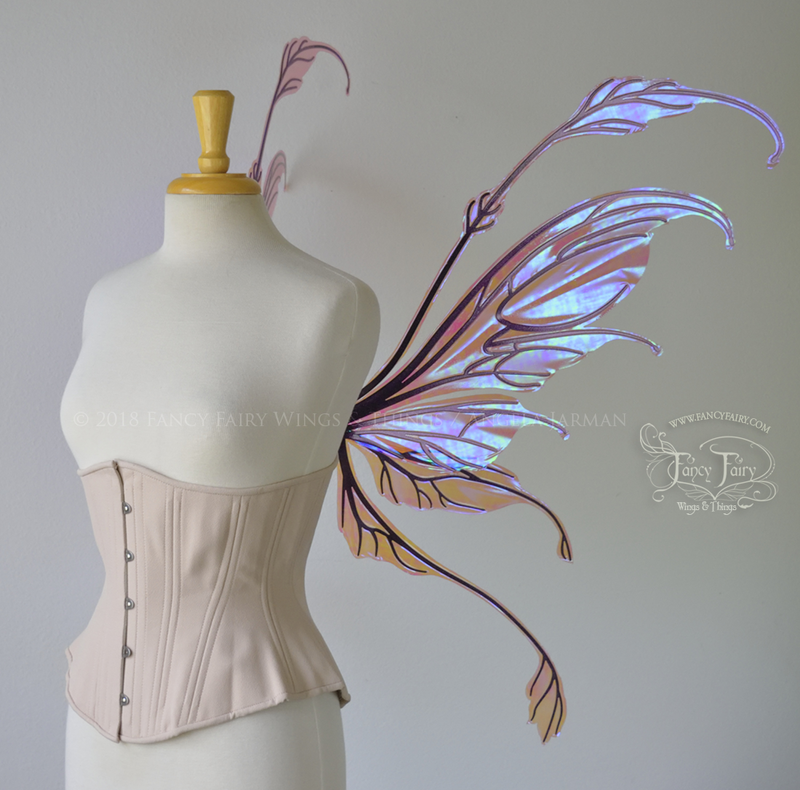 The first set (top) are the new convertible Fauna fairy wings made with the iridescent Berry film. The second set (bottom) are the Aphrodite wings in clear Diamond Fire. These are NOT convertible, the panels on these wings are fixed and can only be bent back, not rotated down like the new convertible line. I don’t have a date set yet for this sale, but here and the mailing list is where you’ll find out about it once I do. More to come!